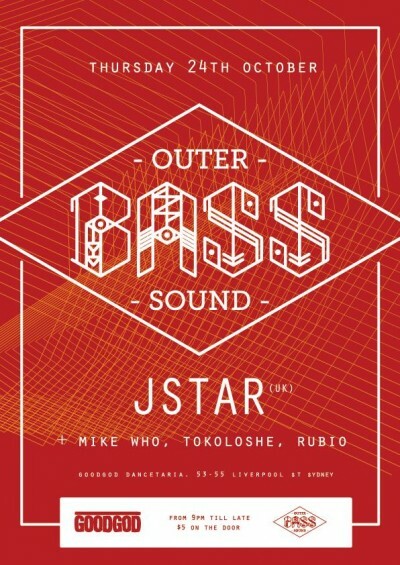 Outer Bass are back for a weekday romp with the one and only party starting, genre jumping, bass music Badman JStar! He’s been described as an Original Don and cited as one of the original inspirations for Major Lazer by Mad Decent head honcho Diplo, has produced over 60 Official remixes for the likes of DJ Vadim, Mark Ronson, Emptyheads, Sola Rosa, The Black Seeds, Dreadsquad, Dub Pistols, Major Lazer and The Resonators. Has A string of bootlegs, Countless originals and white label pressings which have found their way into the crates of Norman Jay, David Rodigan, Grandmaster Flash, John Peel, Benji B, Diplo. JStar is certainly accomplished. He’s as at home playing a deep classic dub set as he is playing a jump up party set so who knows what we’re in for on the night! With support from local hero Mike Who as well as OB residents Tokoloshe and Rubio we’re in for some crazy school night antics!